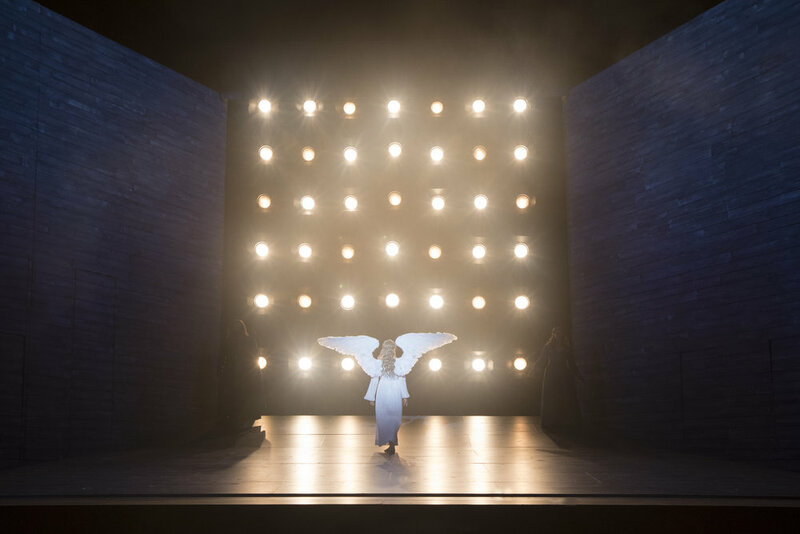 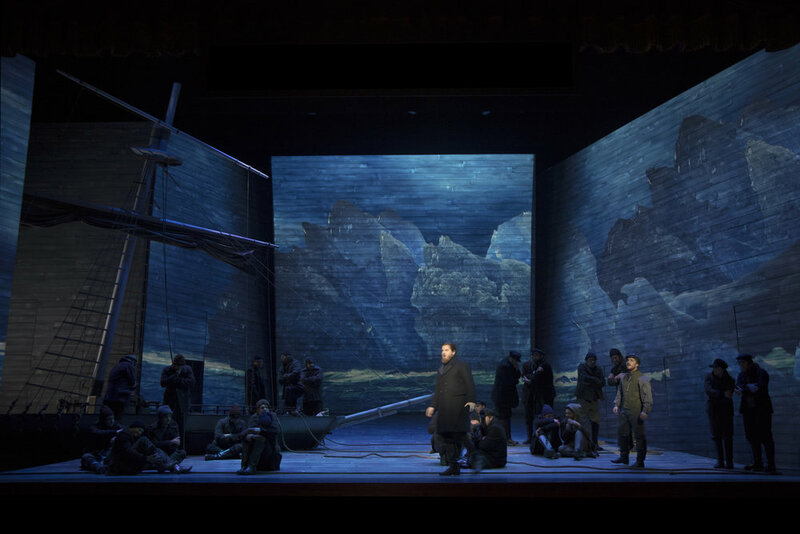 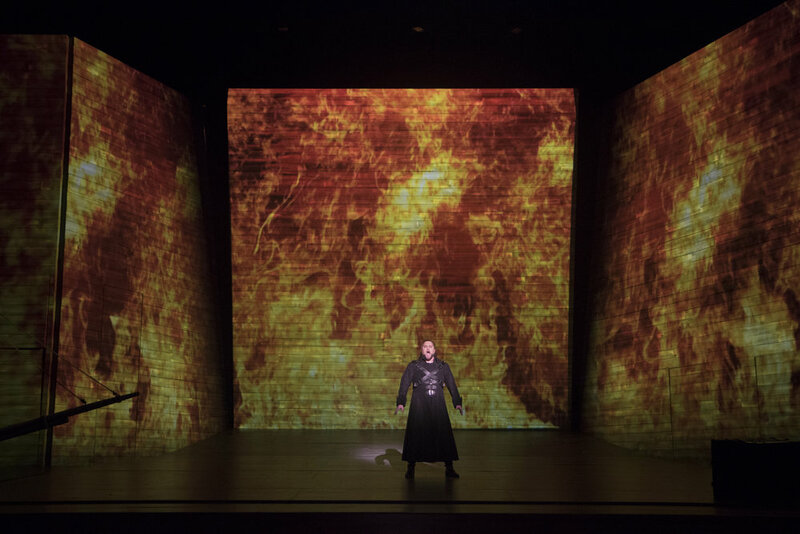 "The set for Opera San Jose's production of The Flying Dutchman is so fully realized that it should count as a member of the cast—breathing life into the austere treachery of the sea. 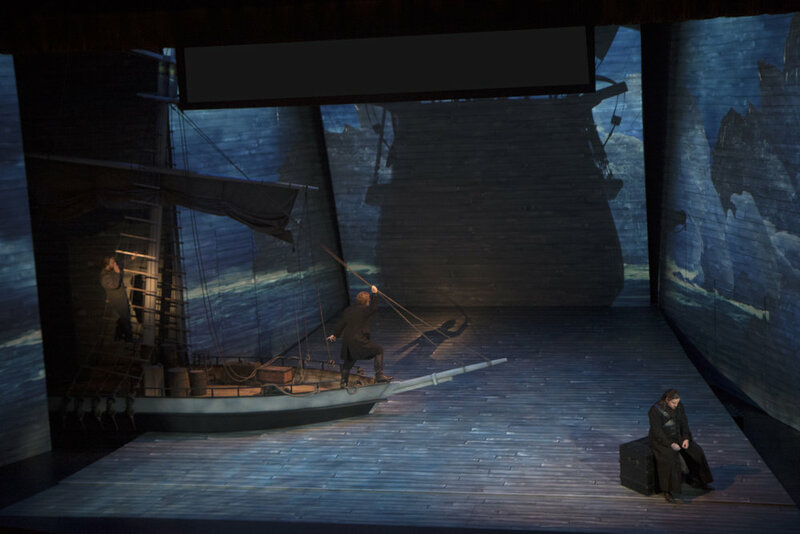 Set on a slant from on high down toward the orchestra pit, the stage works as a representation of the ship's hull, as well as a gently sloping shore. 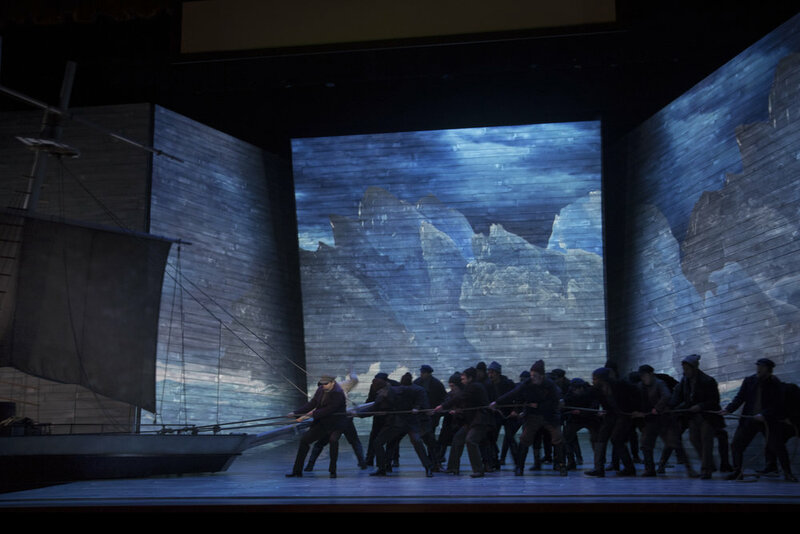 This optical illusion is reinforced by the use of a three-sided digital projection of the stormy ocean, which changes and shifts tone depending on the scene. 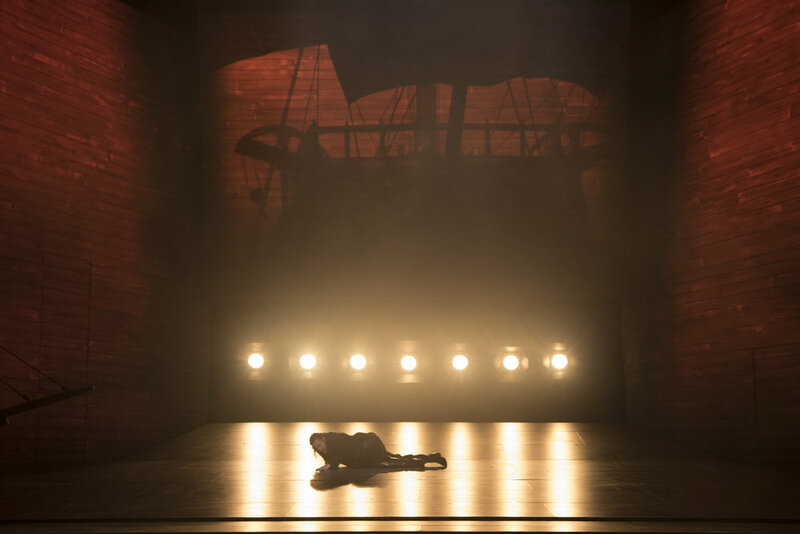 It is an arresting set—minimal yet powerful and capable of shifting seamlessly between the salty deck of a working vessel and the haunted hold of a ship lost in time. 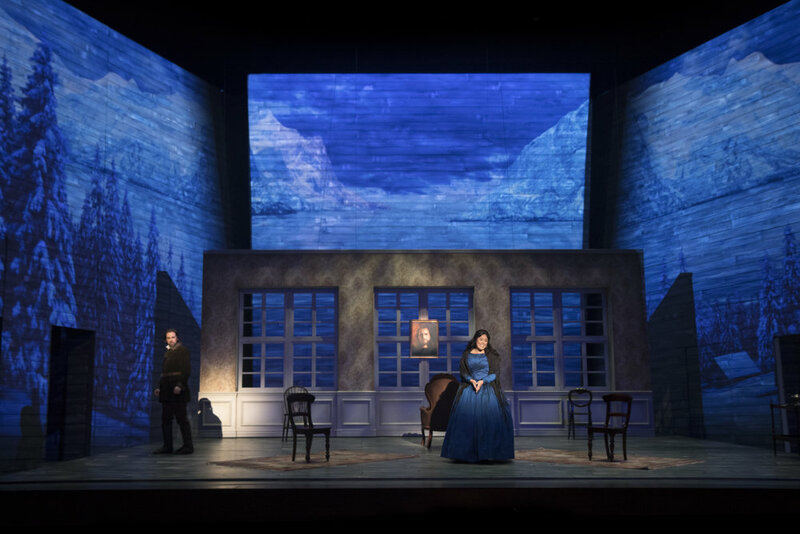 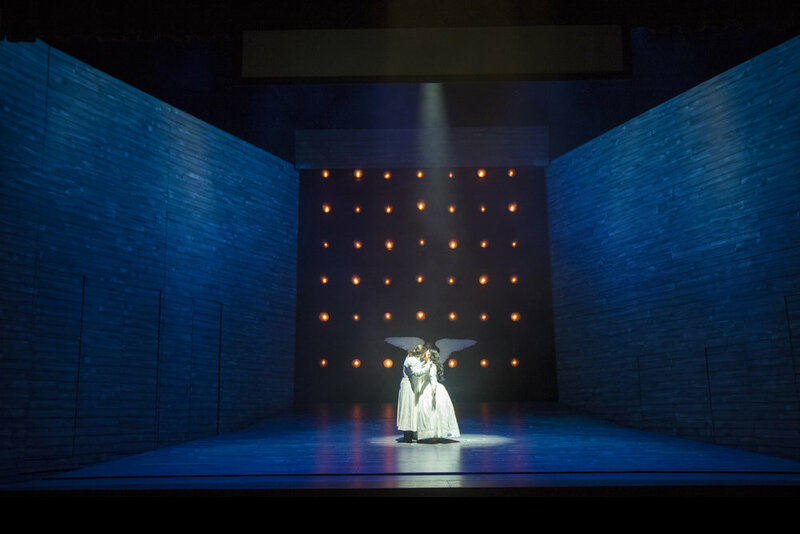 Working in contrasts, Opera San Jose finds the perfect way to display the moods of death and mythos in the midst of a tender love story."